Have you turned on that holiday music yet? If you haven’t, it’s time to press “play” because we are about to embark on an Advent Adventure to Aachen, Germany. This instalment of the Holiday Spirit Immersion Program takes us to a medieval city located on the very western edge of Germany. It is close to both the Belgian and Dutch border. 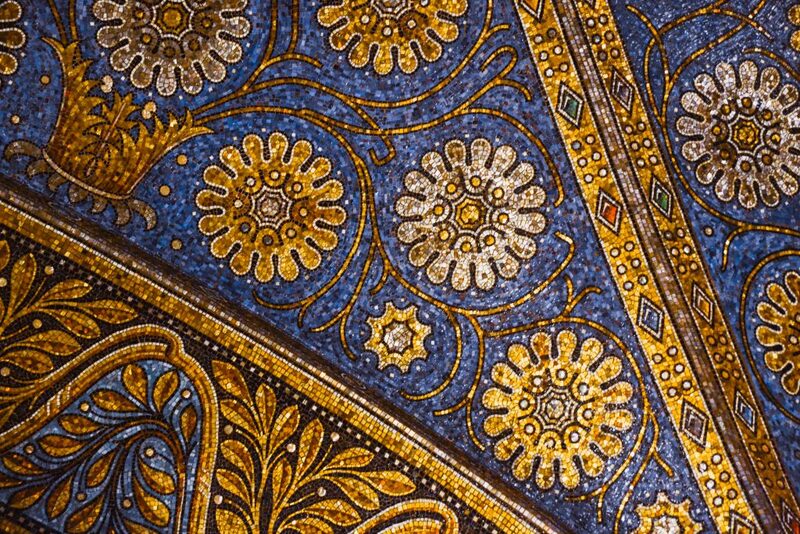 The city is known as Aachen (or Aix-la-Chapelle in French), and it’s one incredible place. 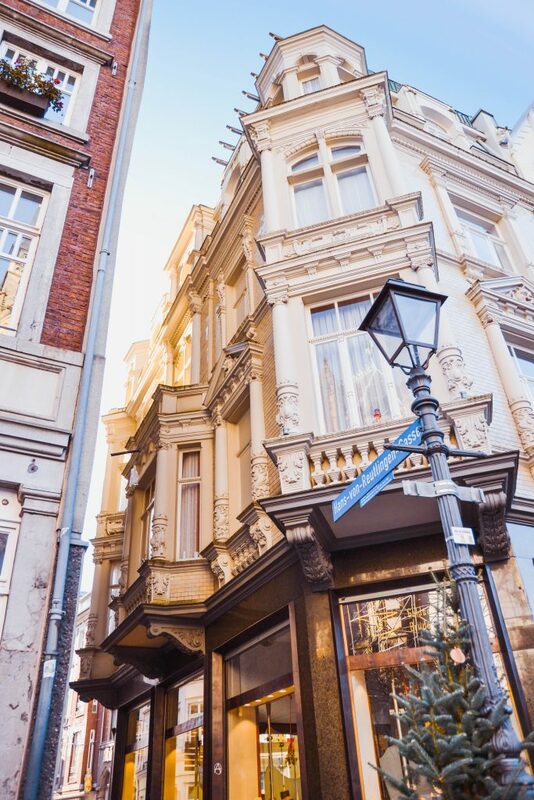 Why is Aachen such a Remarkable City? This medium-sized city definitely has one impressive history! Aachen was a place of high importance during the middle ages. It became the capital and political centre of Charlemagne’s Holy Roman Empire around 800 C.E. Prior to the medieval era, the land Aachen stands on was home to Celts. During Roman times, it became a pretty famous Roman spa town. Overall, an abundance of history tends to bring about an abundance of architectural beauty including but not limited to marvellous medieval cathedrals and old towns. 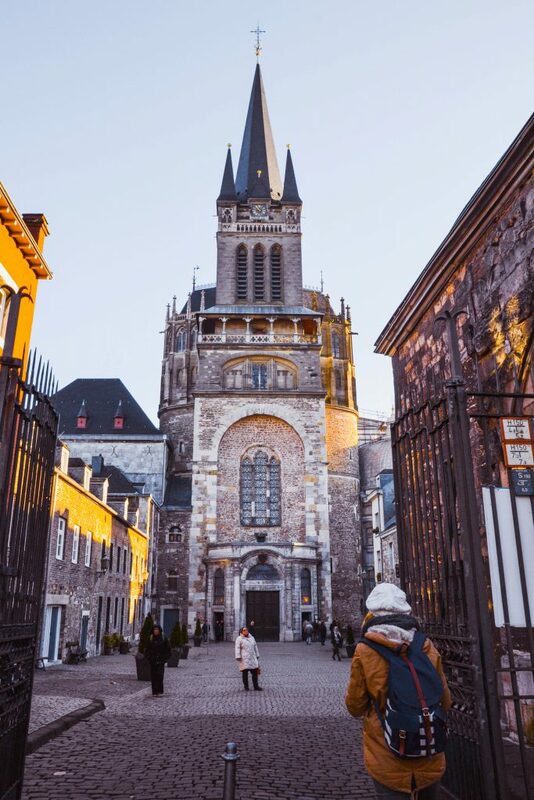 Aachen is privileged enough to have both, and fortunately, some of Aachen’s most historic buildings managed to escape irreparable damage during the Second World War. They still stand for all to explore and admire. I couldn’t get enough of this little colourful corner in Aachen’s Old Town. 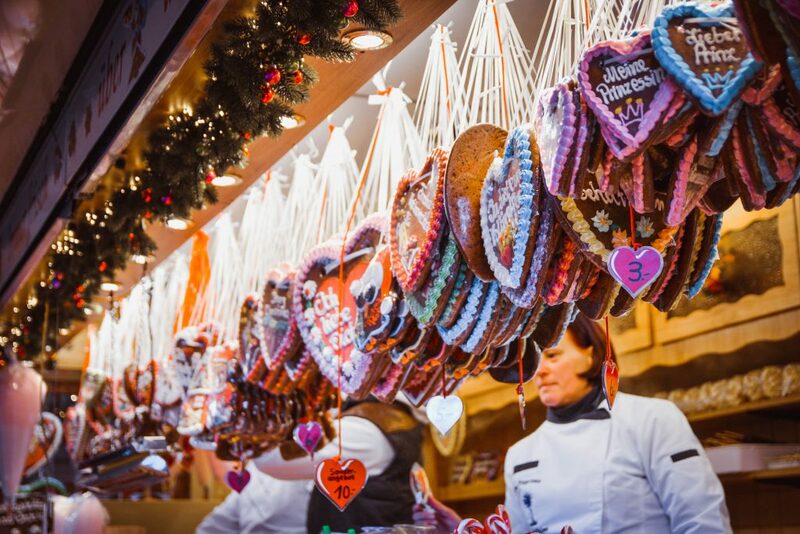 Why Visit the City’s Christmas Market? 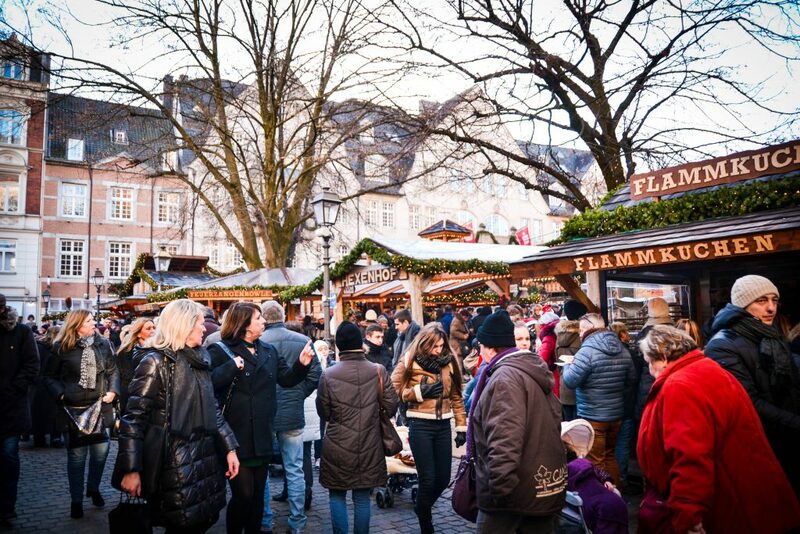 Aachen’s medieval architecture makes it the perfect place for a magical Christmas Market. 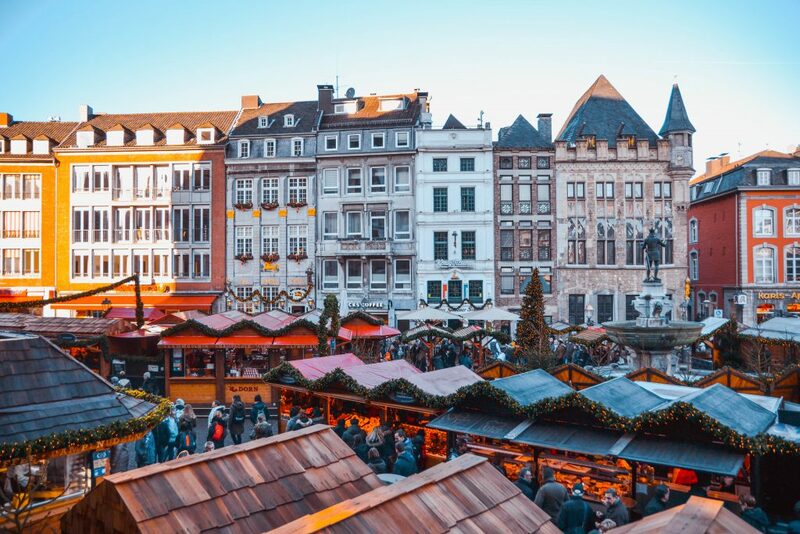 A trip into Aachen’s Christmas Market can definitely make you feel as if you’re travelling back through time. The Christmas Market by the city’s cathedral. I’ve been completely enchanted by European Christmas markets for years, and at the start of November 2016, I finally decided that it was time to pay a visit to the Weihnachtsmarkt motherland. I set the second weekend of advent aside for a whirlwind Advent Adventure in Western Germany. I ended up visiting Aachen for a half a day, and my exploration of the city’s Old Town and Christmas Market was accomplished with outstanding success. 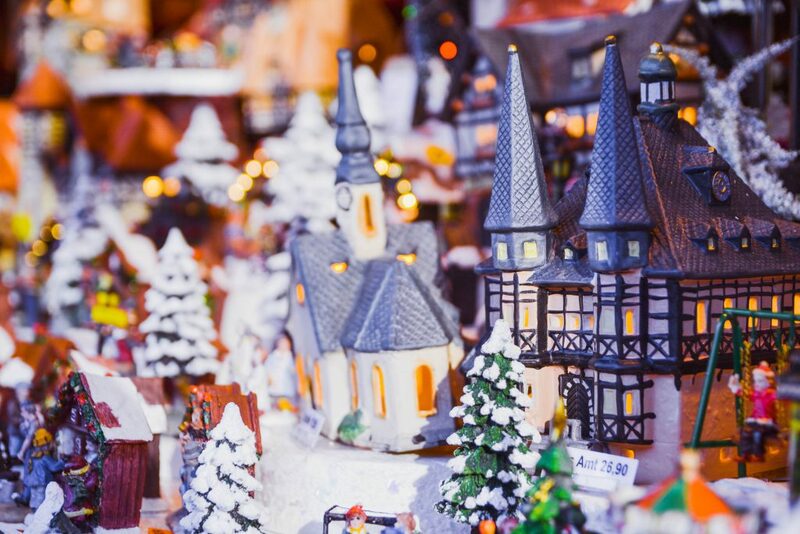 Without a doubt, Christmas Markets in Germany are a popular attraction and tend to get busy. While Aachen’s market got pretty crowded one hour after opening, the crowd density was still nothing compared to Cologne’s Weihnachtsmarkt. 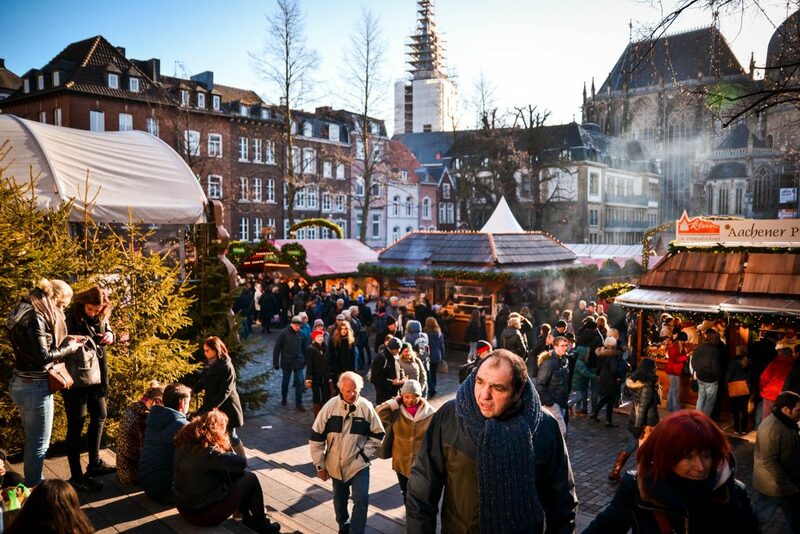 This year, Aachen’s Christmas market opens on November 24th and will remain open until December 23rd. It is located in the Old Town around the Aachen Cathedral and Rathaus (city hall). It opens at 11:00 every morning, and if you would like to have the opportunity to slowly saunter around admire the market without hustle and bustle of hundreds of market goers, I recommend arriving at the market right before opening time. The entrance to Aachen’s Weihnachtsmarkt by the city hall. Can I have that cupcake ornament? Pretty please? 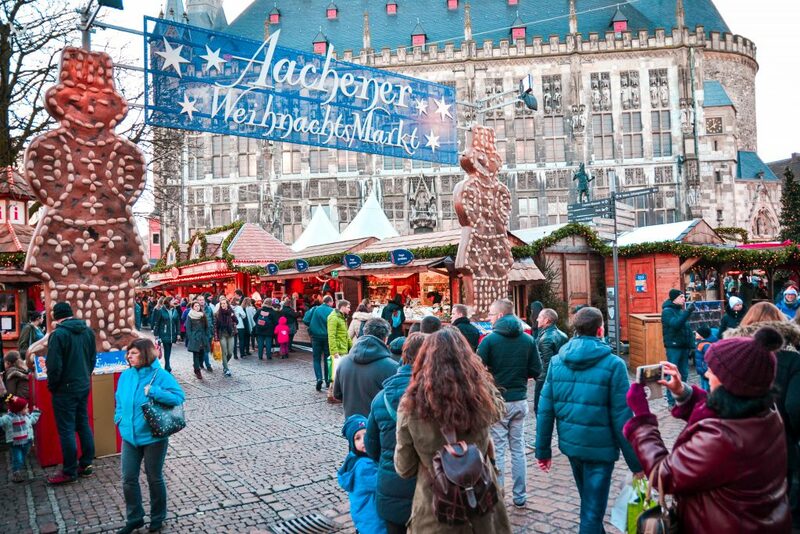 For more detailed information about Aachen’s Christmas Market location and operating hours (including a couple of exceptions to the time listed above), please visit Aachen’s Tourist Services page by clicking here. The Market in front of the Rathaus. 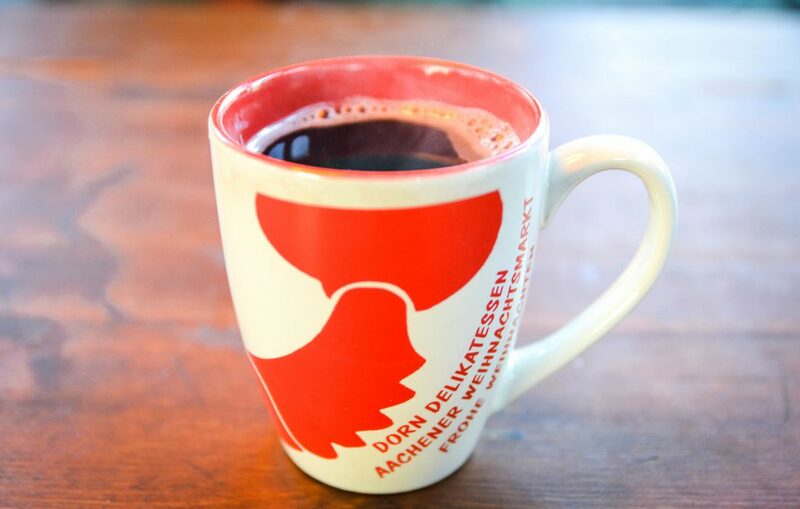 Warming up with a steaming mug of Glühwein. Even if you’re a die-hard Christmas Market fan like me, there are some sights in Aachen that should not be missed even during the shortest of visits. First and foremost, when in Aachen, don’t forget to take a few minutes to admire and go inside the Cathedral. Aachen’s cathedral is Northern Europe’s oldest cathedral. It was build under Charlemagne’s orders and became his burial place after his death. It’s also where the coronation of many German kings and queens took place during the middle ages. The ceiling just through the main entrance. I don’t know how many minutes I spent staring at it in awe. 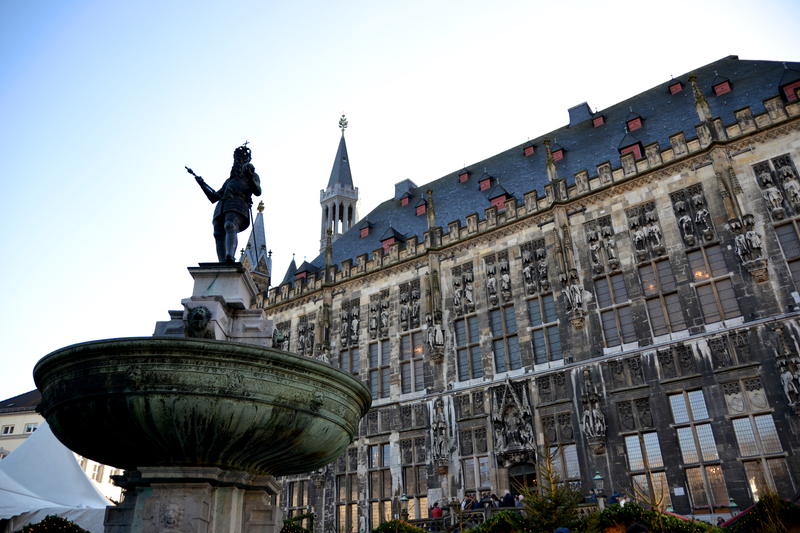 Aachen’s city hall, also known as the Aachen Rathaus, is incredibly impressive too. It was build during the late middle ages and is situated in the same place as Charlemagne’s original council hall. It incorporates parts of the original structure too. The market square side of the City Hall includes statues of 50 kings. If you’re exploring Aachen’s Christmas Market, the city hall is hard to miss. Being situated so close to the Belgian border definitely has its perks. 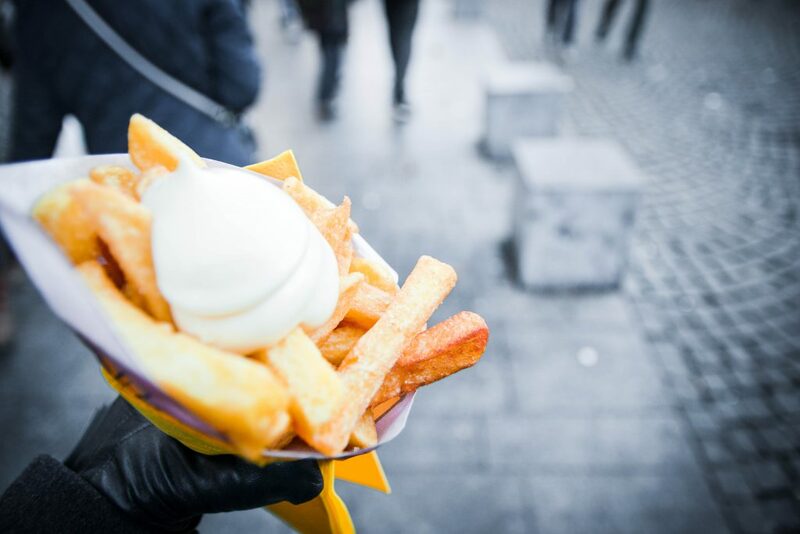 During my morning in Aachen, countless market vendors in the city’s old town were frying up and serving one of Belgium’s most famous snacks: Belgian Fries. And forget about ketchup – you need to try them with mayonnaise! Can’t seem to get your hands on some fries in the Aachen’s old town? Stop by Frittenwerk nearby. Once a spa town, always a spa town. Back in Roman times, Aachen was famous for its thermal baths, which existed due to the presence of hot springs in the area. In the Middle Ages, Charlemagne had baths built on the ruins of the Roman ones. Today, Carolus Thermen gives visitors the opportunity to enjoy the area’s thermal waters. I seriously can’t think of a better way to warm up after spending a frosty morning exploring Aachen’s outdoor Christmas market? After finally finishing my mug of delicious gluhwein and having my fill of Belgian fries with mayo on the side, I headed back to the city’s hauptbahnhof in order to catch my train to Cologne for more advent adventures. I have to say that I’m not done with you yet, Aachen. 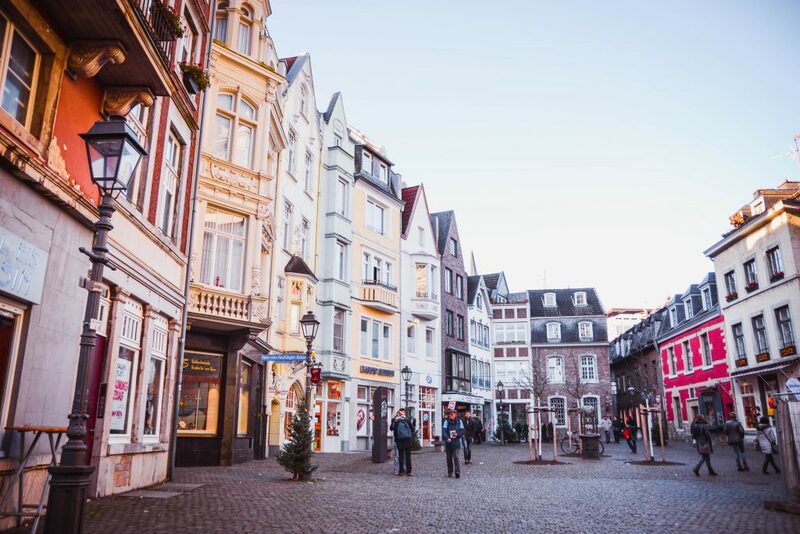 Half a day in the city gave me just a small taste of what Aachen has to offer and I am already looking forward to coming back for round two – and next time time, a visit to the city’s thermal baths will be a must. 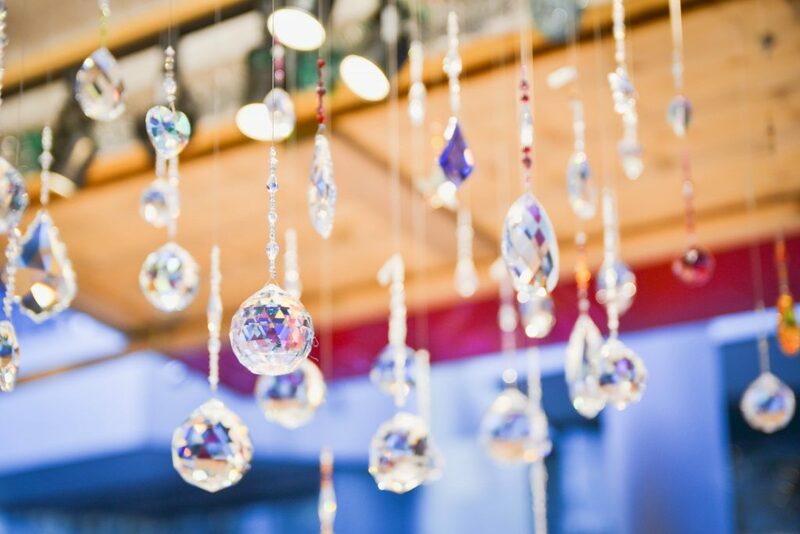 Has the Christmas Season got you under its glittering spell? Snow to Seas’ Advent Adventures aren’t over yet! 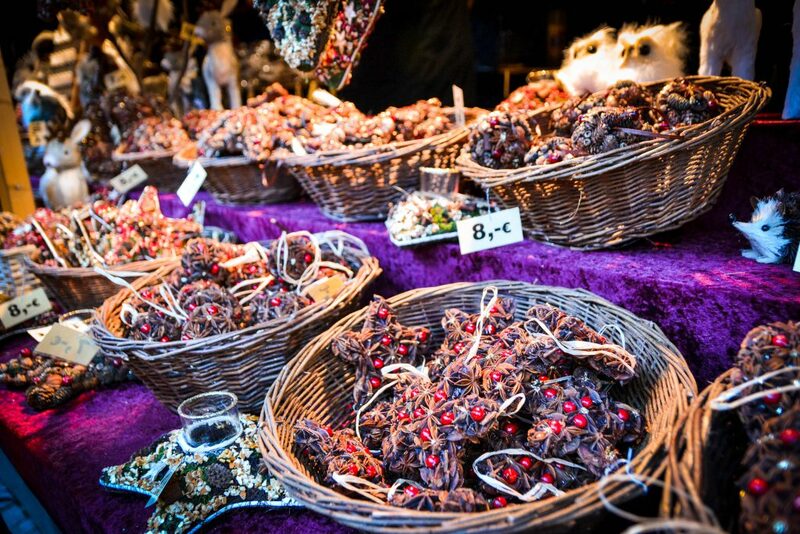 Check out Stockholm, Sweden’s Christmas Market Here! 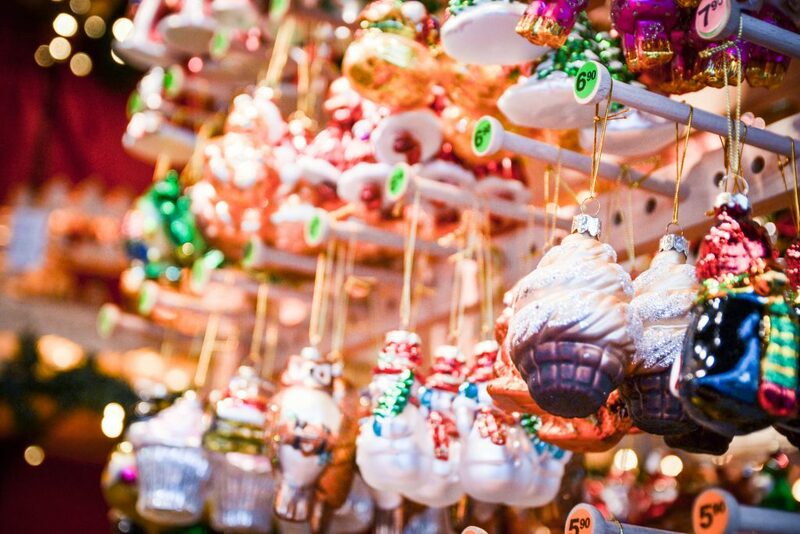 Explore Zurich, Switzerland’s Christmas Markets Here! Amazing post and amazing photos!